Several new buildings across Rotherham, including houses and a school, have been acclaimed at this year's South Yorkshire and Humber Building Excellence Awards 2014. Organised by building control departments of local authorities across South Yorkshire and the Humber, and now in its eighth year, the awards recognise projects from across the region on a range of criteria including compliance with building regulations, accessibility, inclusive environment and sustainability, as well as client and customer satisfaction. 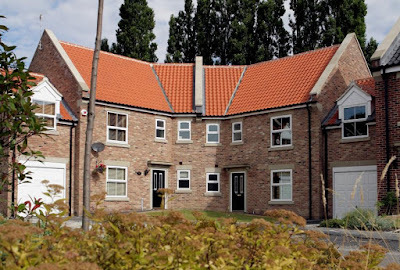 Amberdale Developments, a Rotherham-based builder and developer, was a finalist for its nomination in the "Best Individual Dwelling" category for a bespoke stone-built detached house in Treeton. W. Redmile and Sons, a family-owned business based in Sheffield, was the winner for the second year running - this time in the "Best Small Housing Development" category for Brooklands Croft in Wales (pictured). Situated in the heart of Wales, this is a development of 17 bespoke units ranging from townhouses to large detached dwellings. Rotherham based C.S. Surveying and Architectural Design Limited were finalists in the "Best Domestic Restoration and Conversion" category for their sensitive remodelling and refurbishment of a former mill worker's cottage in Lindrick Dale, which dates from the 1700s. Rotherham also had a successful housing development project with the Wentworth Grange development in Manvers. Ben Bailey Homes was the winner in the "Best Large Housing Development" category. The final Rotherham project featured in the "Best Education Project" category. It was for the extension and refurbishment works to Wath Church of England Primary School. The project was designed by James Cox of Rotherham Council's Design and Projects department and was built by local contractor George Hurst and Sons Ltd.
Another success for Rotherham was with local contractor Eton Construction. Although their project was not based in Rotherham the company achieved a winners award for its nomination in the "Best Individual Dwelling." The Rotherham company is responsible for a new house in Tickhill and was nominated by Doncaster Borough Council. The Ben Bailey Homes project Wentworth Grange, Manvers was announced "Winner of Winners." This development beat all other nine category winners to win the most prestigious award of the night.